Time is the gift mothers offer every day and after everything they do for their children, Mother’s day is finally the opportunity to give them one back in return. Show her how much she means to you and that you appreciate the hours she spends caring, loving and helping you every step of the way, no matter which stage of your life you are in, by giving her a special present that will, just like your unconditional and never-ending love, stand the most important test of all – time. Life is short but love is timeless and those special moments are rare. 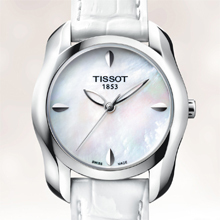 Remind the most special person in your life that every minute with her counts with the Tissot T-Wave Round. This stunning watch’s line will flow around her wrist, following the natural course as it swirls by the edge of the bracelet. The smooth and calming creation is complimented by a beautiful round dial. 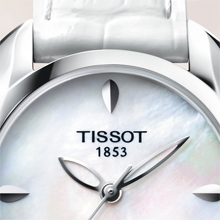 The many details and seductive lines such as its petal like indices capture the spirit of femininity while its mother-of-pearl dial adds a natural beauty to the piece. This watch is the perfect piece to express your natural love for your mother.